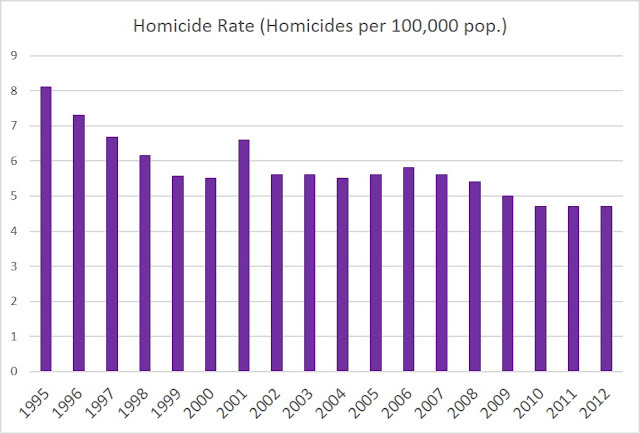 CDC surveys in the 1990s, never publicly reported, indicate nearly 2.5 million defensive uses of guns a year. That matches the results of Gary Kleck’s controversial surveys, and it indicates more defensive than offensive uses of guns. Kleck’s new paper—”What Do CDC’s Surveys Say About the Frequency of Defensive Gun Uses?“**—finds that the agency had asked about DGUs in its Behavioral Risk Factor Surveillance System in 1996, 1997, and 1998. The citizens of the United Kingdom do not have the right of gun ownership and London has some of the strictest gun control laws in the world but has still surpassed New York City’s murder numbers due to knife attacks. There were 15 murders committed in London in February and another 22 in March, while New York saw 14 murders in February and 21 in March, according to murder rate statistics provided to USA TODAY by London’s Metropolitan Police and the New York Police Department. There are some people who believe the #NeverAgain movement is getting too much mainstream attention compared to BLM. After all, African Americans make up 47% of crime victims in a country where they are ~15% of the population. 91% of those victims were killed by another African American. Yet, because 17 people were tragically killed in a school shooting the media and left-wing is again pushing for weapons bans against law-abiding citizens, when in Chicago there were 286 shootings and 78 slayings through the first two months of 2018. That’s strange, since the majority of gun offenders are not white men with guns. Because the entire media has thrown away facts, we can understand that this is part of an agenda to disarm law-abiding citizens, not stop gun murder. “This is the worst kind of gun control. Any measure that preserves the ability of criminals to access guns while restricting the access of law-abiding Americans is a measure that fundamentally impairs the very purpose of the Second Amendment. For the law-abiding, the existing stock of tens (hundreds?) of millions of weapons and magazines would instantly become more expensive. Yet with the slightest premeditation, a criminal could easily circumvent the ban. It’s a simple matter, in fact, to make your own high-capacity magazine. Moreover, it’s sheer speculation that a ban on so-called assault weapons would reduce mass shootings, reduce gun suicides, or reduce overall gun violence. Rifles are rarely used in “normal” gun crimes (blunt objects and fists kill more people), and you don’t need an AR-15 to kill yourself (rifle suicides are rare). And as ample, grim experience shows, you don’t need an AR-15 to commit a horrific mass killing. America’s worst school shooting — the Virginia Tech massacre — was committed with handguns, and the list of deadly handgun shootings is long and sad. Actually at least as many guns are used in self-defense as in crime. Who would take those guns away? As with most laws, the police would enforce them. How do the police enforce laws? With their guns. So they aren’t really saying no one should have guns. You still need police to have guns, otherwise, how do you take away the citizens’ guns? In 2015, 737,000 police officers killed just over 1,000 people. That is about one civilian death for every 737 police officers. Somewhere between 70 and 99 million Americans own guns. 13,000 people died in 2015 from gun homicides. That means there was one gun homicide for every 5,385 to 7,600 gun owners. Police are seven to ten times as likely to kill someone compared to a gun owner. And yet they would be tasked with taking guns away. 7.7 million Americans own a gun collection consisting of between 8 and 140 firearms. There is some debate about what constitutes a “mass shooting.” But if we are talking about the big headline shootings with the gun-obsessed social loner perpetrator, we are talking about a handful a year, if that. But even if 50 of these “gun nuts” went crazy every year and went on a shooting spree, that accounts for .00065% of all “super owners” who own an average of 17 guns. You would have to come across 154,000 gun nuts before you met one who was even remotely likely to carry out a mass shooting. You probably won’t even meet half that many people–let alone gun owners—in your lifetime. But many “mass shootings”–including gang wars–are carried out by people who are not licensed to buy a firearm. This means the current restrictive laws were not sufficient to keep guns out of their hands. But as for people who follow the law and get their gun license, they are more law-abiding than the general population, and even the police. America is a big place with over 320 million inhabitants. 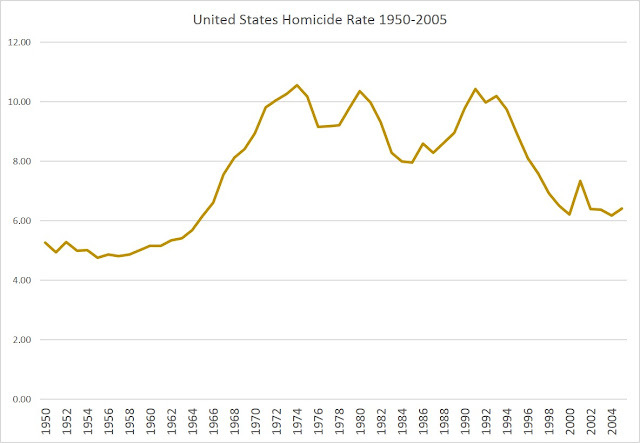 The spread of gun violence is far from even. More than 25% of America’s gun homicides in 2015 happened across census blocks that contain just 1.5% of the country’s total population. While gun control advocates often say it is unacceptable that Americans overall are “25 times more likely to be murdered with a gun than people in other developed countries”, people who live in these neighborhood areas face an average gun homicide rate about 400 times higher than the rate across those high-income countries. More than half of America’s gun homicides were clustered in just 127 cities and towns, which together have less than a quarter of the nation’s population. Stop using tragedy and murder as a political argument to take lawful citizen’s rights away. 130 people killed in the Paris attacks in 2015. 20 people were killed in Manchester. 86 people were killed in Nice France in 2016. What we should really do is come together as a society to outlaw murder, even go so far as to make MASS murder illegal. Author Poor DickPosted on October 4, 2017 October 4, 2017 Categories UncategorizedTags gun control, murder1 Comment on Stop using tragedy and murder as a political argument to take lawful citizen’s rights away.